Happy Thanksgiving dear readers. This holiday is one of my favorites. 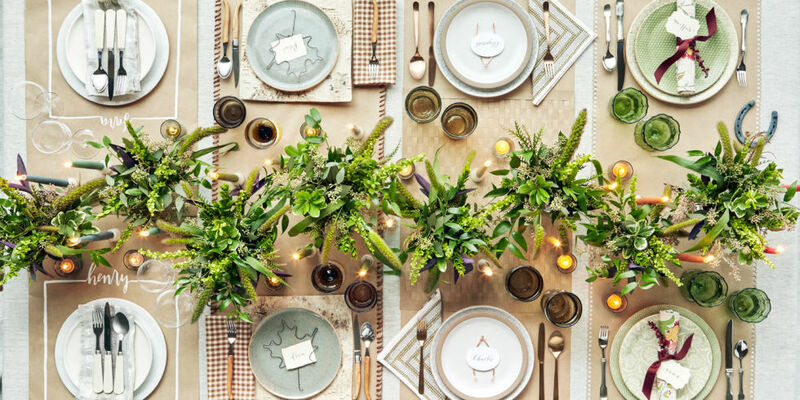 No gifts, no decorating – just good food with those we love (and sometimes drive us crazy) and thankfulness. Lots of thankfulness. For good health. For good friends. For a roof over our heads. For fresh air to breathe. For sunrises and sunsets. And all the other little moments that take our breath away. I know many of us are heading into the holiday season with a little something tight and uncomfortable in our chests. That feeling that hurt and anger are unwanted, yet still under the surface of our souls. It could be an old argument that you just can’t drop with a friend or family member you’ll be seeing. It might be anxiety about refugees in need. A little discomfort about the elections and state of affairs in our country. Or fear about race relations. I thought this would be the perfect time for me to give a little advice about how you can be a good person, a great guest, or a loving host, all while surviving the holidays. Give your guests something to do. Whether it is lighting the candles, putting out platters, or stirring a pot full of mashed potatoes – many of us feel better when we are given a task. Keeping people busy leaves less time for boredom and unnecessary griping. Make a little extra room in the coat closet beforehand. That way when people walk in they can easily hang coats, and then they won’t be hanging on chairs or cluttering the front hall. A cleared bench or basket is also a great thing to have by the door so people have a place to leave purses, empty bags that they brought things in, and hats/gloves. This also helps to make sure they grab their belongings on the way out so you don’t have a handful of things to deliver back to people in the weeks that follow Thanksgiving. Don’t fuss over crumbs and spilled items. Inevitably when there are children around (and even when there aren’t) things will get knocked over and messes will be made. Try not to anxiously roam around cleaning up after people. Make your guests feel comfortable by not making a big deal about accidents. Carpets can always be cleaned after your guests leave and no broken dish, glass, or platter is more important that a person’s feeling. We don’t want to let material items become the focus of what makes us happy. And on that note – if something is a family heirloom or of great value, consider putting it away before guests arrive. Leave less room for error and the day will be less stressful! Take note of allergies before people arrive. You can’t cater the meal to each and every person’s particular food tastes, but you can be sure to create an environment that is safe for all in attendance. If you have a child with a nut allergy coming, be sure to put bowls of nuts high on a counter where only adults can reach them. Or better yet, skip the nut bowl this year, and instead consider a bowl of spicy rice crackers or wasabi peas for adults to enjoy. Keep a carafe of water on the counter with empty cups. All that sodium and red wine can lead to dehydration the next day. We always offer a cocktail, but often forget to offer water too. If the water is on a counter and available you will save guests from being thirsty and from hangovers the next day. Stay calm! Remember that the host sets the tone for the household. If you are relaxed and enjoying the process, chances are your guests will too. Never show up empty-handed. Whether it’s a nice bottle of wine or a package of kitschy cocktail napkins, nothing says “thank you” like a small gift. It shows your host that you took the time to pick up a little something special during your busy week because you are thankful for being included. Get busy! If you came with a salad, notice when the host is almost ready to serve the meal and get your salad ready. If you brought shrimp cocktail, make sure it is plated during cocktail hour, and don’t be afraid to walk around with the platter and offer it up to others at the party. It’s one less thing for the host to do and it might help you to strike up a conversation with someone you might not have chatted with otherwise. Pay attention to social cues. If your host seems frazzled in the kitchen, know when to make yourself busy and not bother him/her with too many questions. Pick up a coffee table book and entertain yourself while they finish what they are doing. Cooking can require concentration and careful measurements at times, try not to distract. And lastly, when your hosts seems tired and ready for the night to be over, don’t be the last to leave. It’s always best to say farewell when the party is starting to wind down. No one likes the guest who is still lounging on the sofa long after everyone else has left. If you leave them wishing they had had 5 more minutes with you, you are sure to get an invitation to the next gathering! And because I am acutely aware that I need advice just as much, if not more than others, I’ve called in the amazingly thoughtful and intelligent Cristina Young (also featured here and here) to give us some great ideas about how to be your best self tomorrow and straight through the new year. Cristina is a psychotherapist in private practice with offices in Greenwich and Stamford, CT. Cristina specializes in working with families and children, and has worked extensively as a parent educator. I know I will be calling on her wise words throughout the holiday season and beyond. Experiment with being the quieter one in some of the weekend conversations. This stance allows you the opportunity to observe others, process dialogue, and remain thoughtful. Quiet provides us with the time to choose the right words and to offer them in a calm response, rather than reacting impulsively when an unhappy relative shoots off at the mouth. Rehearse a bit. We all have one relative we can probably designate as the most problematic for us. Whether they criticize us openly, assault us sarcastically, or judge us quietly from afar. Usually one person earns the title of “the relative I’d rather not sit next to” at dinner. When we are the recipient of another person’s unkind comments, we have two choices: walk away or come back with a quick reply. So prepare a line “to keep in your back pocket” to let this difficult person know you’re not interested in receiving his or her unsolicited comments this year. Rehearse it aloud with your spouse or in the mirror. The more times we practice something, the stronger the path we create in our brain to retrieve something again when we need it on a moment’s notice. Remember, hurt people are the ones who hurt people. So their mean outbursts say everything about them and nothing about you. Select one person with whom you’d like to deepen your connection this weekend. Obviously, this relative is the opposite of the one mentioned in #2 above. Ask yourself which relative you admire the most from afar. Then find them, and be curious. Ask questions about their upbringing, their family, their job, mistakes they’ve made and learned from, or their favorite books or movies. Set a goal to leave the Thanksgiving weekend having furthered your connection to this one person. Research tells us that the greatest predictor of overall happiness and longevity are the quality and quantity of authentic connections in our lives. Model gratitude and altruism. Take a risk amongst the group, if a gratitude practice is not already established. Ask each person at the dinner table to name one thing or person for whom they are grateful. Or ask each person to name a person who is suffering greater than themselves and to whom they’d like to offer a prayer or a thought. Thanks for these thoughtful reminders! Happy thanksgiving!